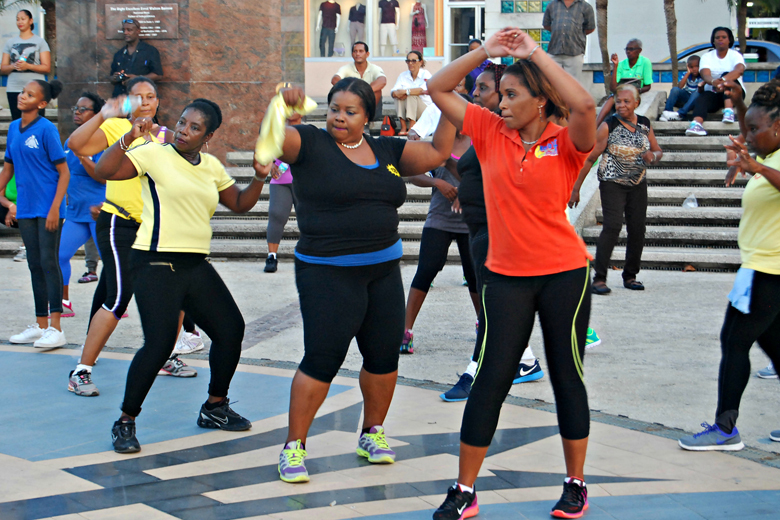 Antigua and Barbuda Diabetes Association in collaboration with The Lions Club of Antigua held a World Health Day Zumbathon and Socarobix at the LIONs Den. Valarie Williams (RN. CM) NCD Focal point, Ministry of Health and the Environment decribes the activities carried out in Antigua and Barbuda for World Health Day. 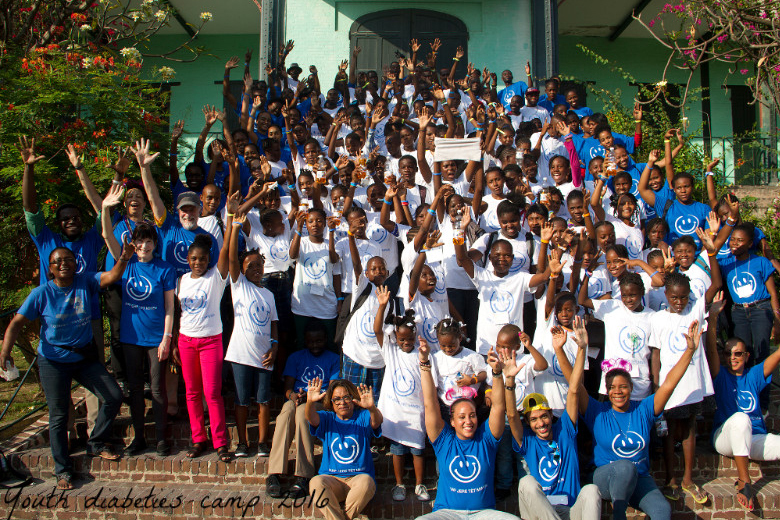 Despite a few challenges, WHD celebrations were a success. The media strategy used included radio and television appearances, visits to the community to give out fliers and speak with persons in the community in their homes, shops, on the block and on the playing field. 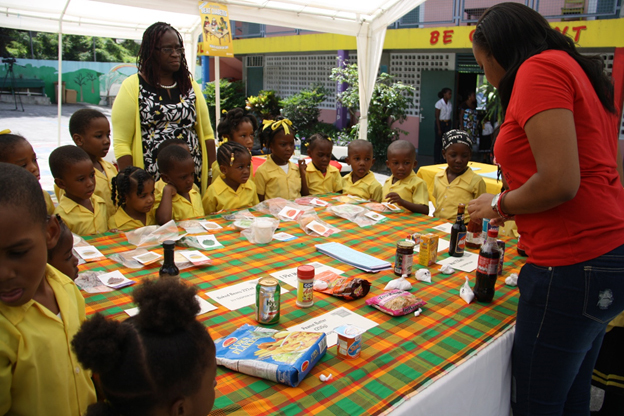 Visits were also made to the school and community clinics in Grays Farm. The feature address was given by Dr. Rhonda Sealey Thomas Chief Medical Officer in the ministry of Health, and who also declared the fiesta officially opened. The messages focused on the diabetes situation world wide with focus on the Antigua situation, and the importance of addressing the risk factors to decrease the impact of diabetes on the population. 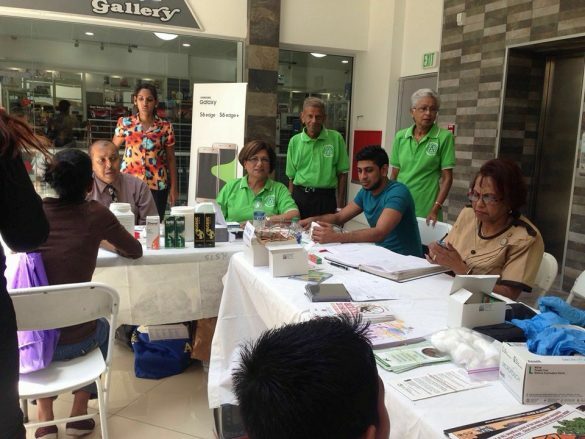 Over 250 persons were screened. Referrals were made to the district clinics and private physicians for abnormal results. 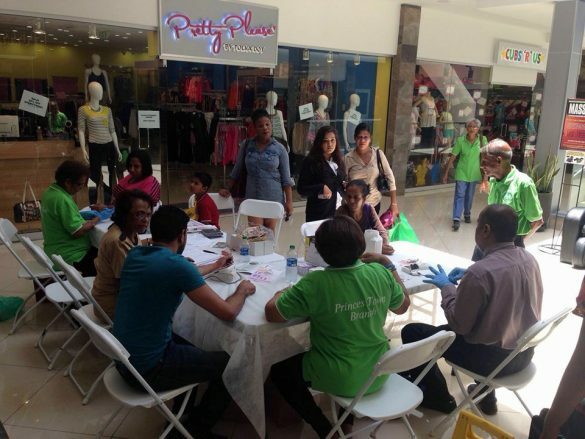 Foot care education and examination was an area that was sought after by the patrons of the fiesta. It must be noted that a large number of children attended and were screened. 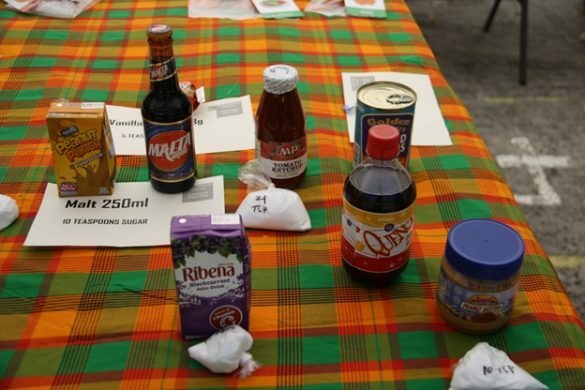 The children also spent time watching the video presentations on diabetes. 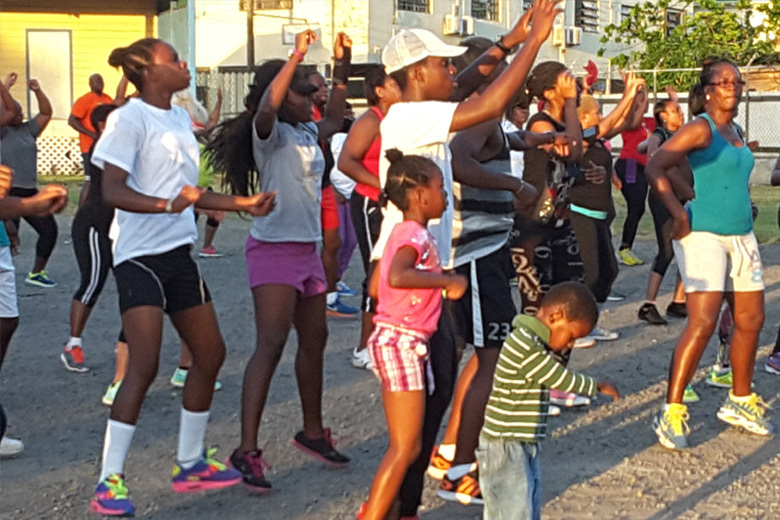 Residents of the area voiced appreciation for the Ministry of Health bringing this activity to their community and requested that we return with similar initiatives. 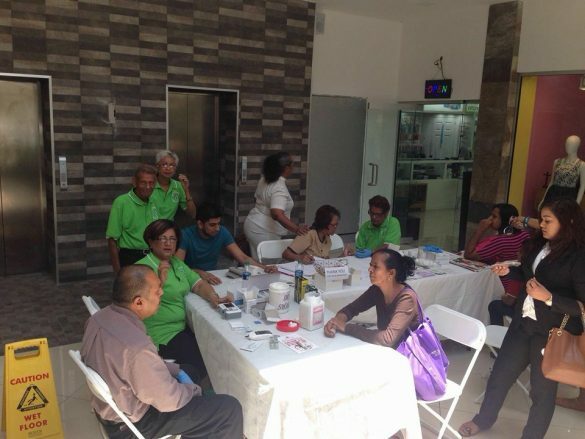 Supporting this event was the AUA whose doctors performed the patient evaluation and foot assessment under the supervision of Dr. Kannavarand, Dr. Raymond Mansoor. 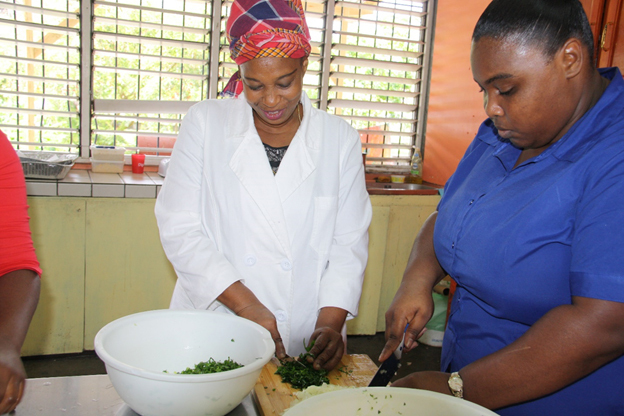 Nurse Almarie Coates Nurse Practitioner, also conducted some foot examinations. Mount St. Johns Medical Center were represented by 3 senior and 2 junior Nurses and their Marketing coordinator represented and along with along with 10 student nurses from the Antigua and Barbuda school of nursing, they assisted with registration and screenings. 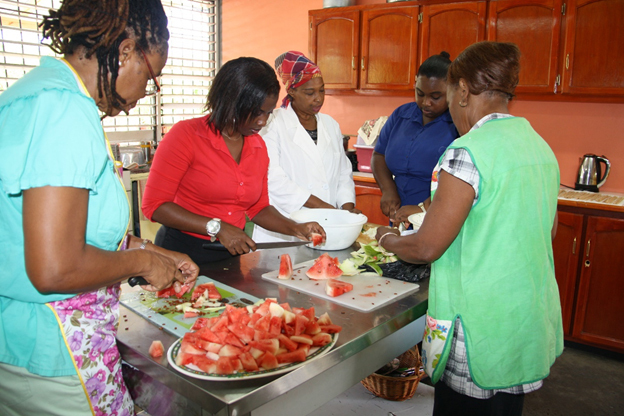 Participation from Breast Friends, Antigua and Barbuda diabetes Association, the Zero Hunger Program, the Red Cross, Anjo Insurance (sponsors of t -shirts, music and snacks for the fair), Substance Abuse Prevention Unit, all helped to make the fiesta a success.The zumbathon at Lions Den as a success, so to was the diabetes workshop at MSJMC conducted by the diabetes association for persons living with diabetes and their care givers. World Health Day under the theme “Step Up, Beat Diabetes” was celebrated on April 7th, 2016. 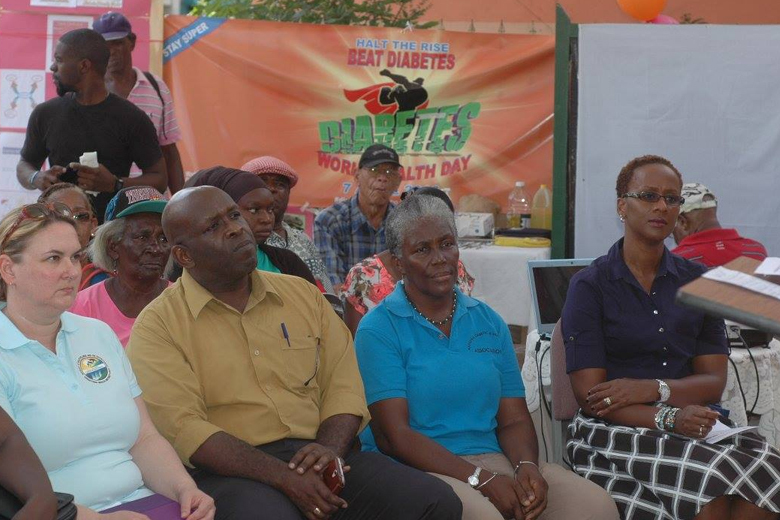 To commemorate the day, the Ministry of Health, Wellness and the Environment in SVG hosted a Diabetes Health Fair at two venues, the Central Vegetable Market, Kingstown, and the Chateaubelair Playing tramadol order Field. Activities included free blood sugar and blood pressure checks, free foot care screening, audiology checks, nutrition counseling, exercise live demonstrations and medication counseling. 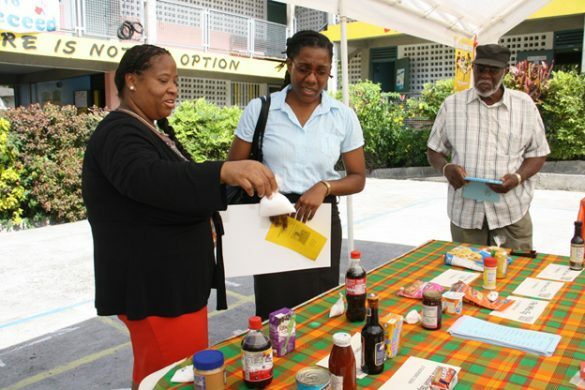 See more pictures form the event here. 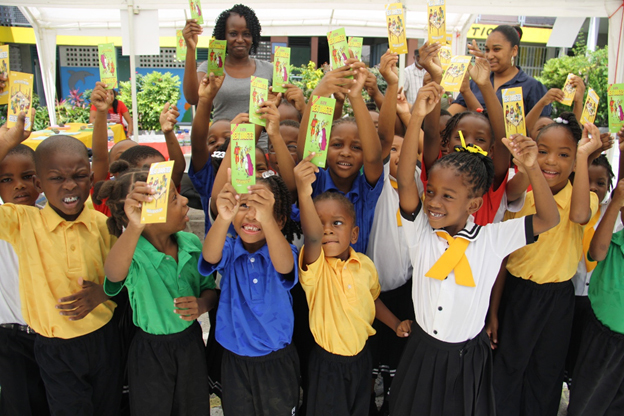 World Health Day 2016 was observed by the Ministry of Health and Environment through the Health Promotion Resource Centre in collaboration with the Dominica Diabetes Association at the Roseau Primary School on Thursday April 7, 2016. This year’s theme is “Stay Super: Beat Diabetes with Fit and Healthy Children”. 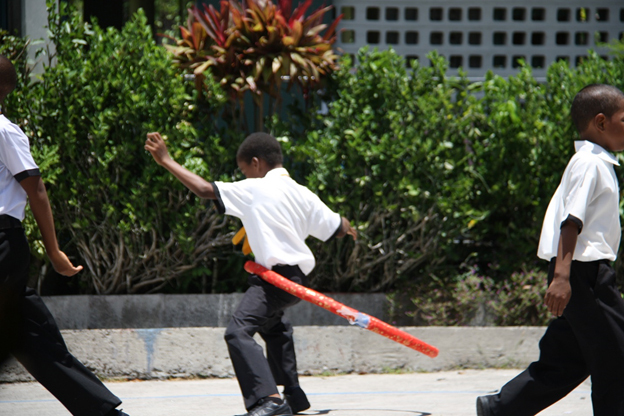 Activities planned for the day focused on Eating Healthy and Being Active. 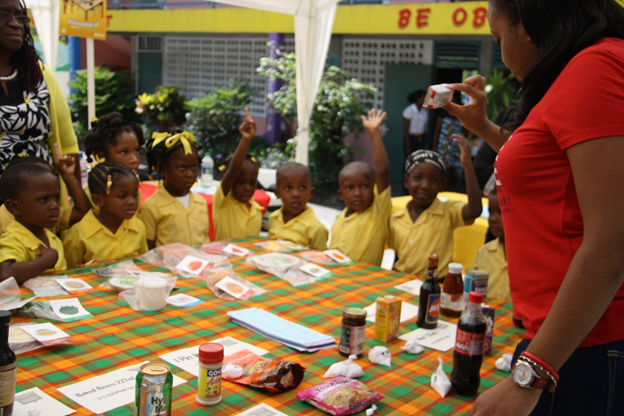 The day event bought excitement and education to the students aged 2 to 11 years old at the Roseau Primary School where there are a few students living with Diabetes. 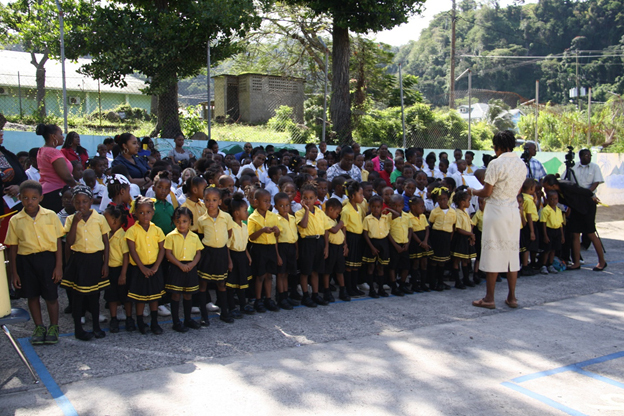 Reading of the Minister’s World Health Day Speech to the children by Ms Marvlyn Birmingham President of the Dominica Diabetes Association. 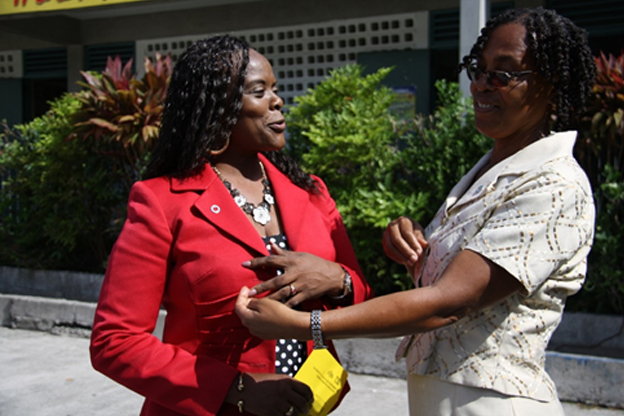 The pinning of the school principal with the World Diabetes Pin. 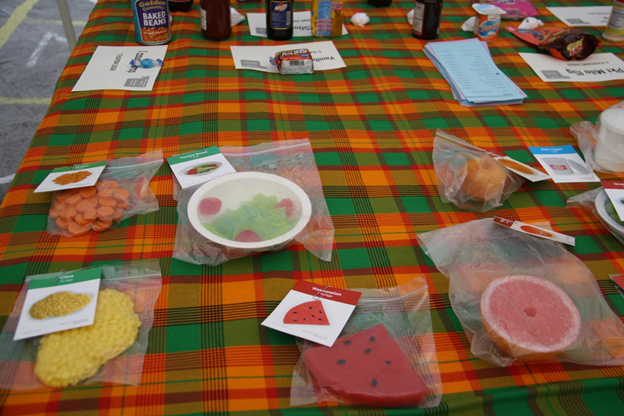 Sampling of healthy snacks prepared by the Health Promotion Resource Centre. 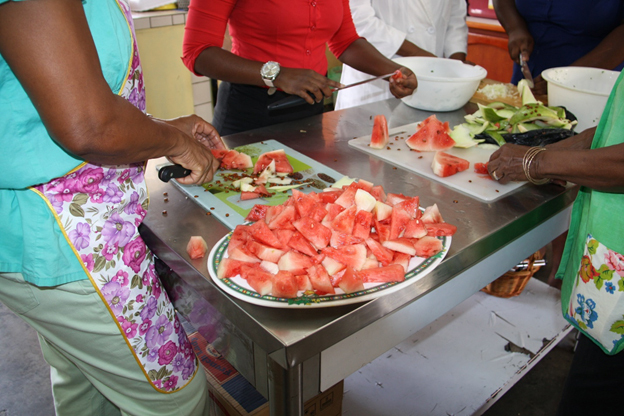 Students sampled fruits kebabs, and lentils accras among other exciting and tasty snacks. 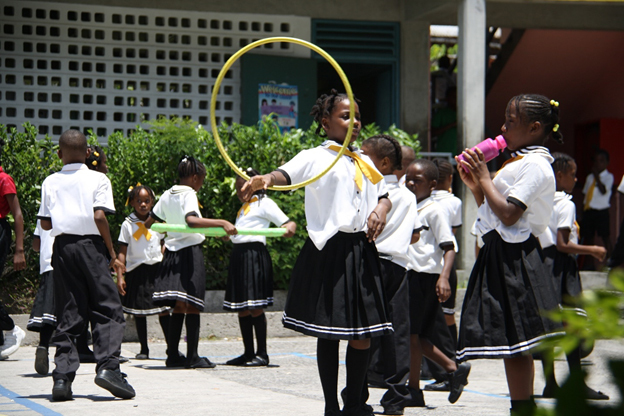 Physical activity was also conducted using the Hoolahoop. The activity was rated as successful by the Health Promotion Unit and the Dominica Diabetes association and resulted in not only an increased awareness among students and staff on diabetes but also on the importance of adoption of healthy lifestyle practices to prevent and manage the condition.